Officials offered another update Friday morning on contamination in and around the area of the Salina Regional Airport. At issue is contamination, things like solvents that have seeped into the ground, left behind when the federal government vacated the former Schilling Air Force Base. Some of the contamination dates back as far as the 1940s. The military base was active from 1942 through 1965. The area is now the Salina Regional Airport. 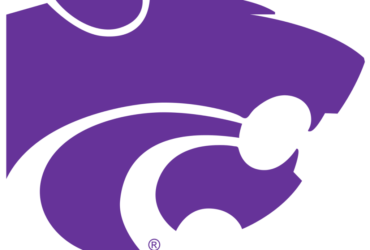 Local public entities including the City of Salina, the Salina Airport Authority, Salina USD 305 and Kansas State Polytechnic Salina have been dealing with the situation since the mid 1990s. The issue eventually went to court as local officials tried to obtain federal funding for the cleanup. Eventually a settlement was mediated. Local, state, and federal officials reached an agreement to start the cleanup process by beginning a comprehensive field study. As part of the agreement, the federal government will fund 90 percent of it, with local entities funding 10 percent. The main concern are plumes of contamination. Officials have identified 11 plumes of contamination. The plumes are underground in the soil, and in the water. The contamination plumes consist of the solvent trichloroethylene, or TCE. TCE at the time was used as an industrial solvent and has since been classified as a human carcinogen. other contaminants are also present. The field work ended in mid-2016. Since then a remedial investigation and risk assessment have been completed. The contamination is within about two miles of Salina city wells, though there is no imminent threat of the contamination getting into the city water supply. At the current rate, if left alone, it would take the contamination 18-years to reach the closest city well, which is located at the Salina Water Treatment Plant. Officials continue to monitor underground water, surface water, and air quality in the area. Tim Rogers from the Salina Airport Authority said that so far the study, and plan development portion of the project hav been under budget by over $1 million. By the end of the year a cleanup plan will be proposed. There are several solutions that could be considered, ranging from removing and relocating to reducing the concentrations of the chemicals. The plan will be submitted to the Kansas Department of Health and Environment for final approval. Once a cleanup plan is approved, local officials will go back to court to meditate with the federal government funding for cleanup.